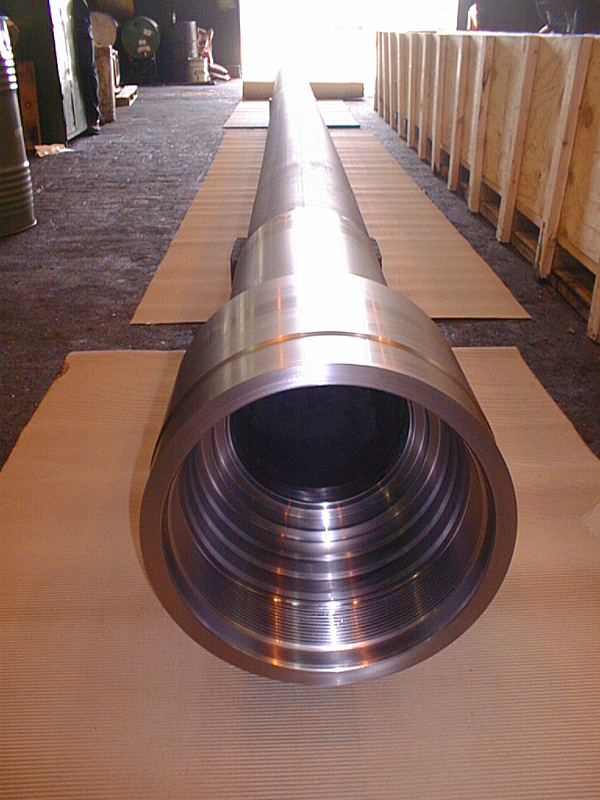 We specialize in long, deep hole boring services. We bore up to 70′ lengths. We can achieve tolerances of .002″ on diameter and surfaces finishes to 8 Ra or better. Be sure to ask about our Trepanning and Large Honing capabilities. Grand Valley has 50 years experience in machining cylindrical parts. We can bore up 61″ diameter and can hone up to 30″ inside diameter. Grand Valley has developed proprietary tooling which allows us to bore 40 feet in one direction. We can bore your parts up to 68 feet in length. Our facilities in Titusville & Pleasantville, PA have a wide range of manual and cnc work centers to fit your needs and capacity for most lead times needed. Line Boring involves rotating the cutting tool (which is located on a bar between bearings) while the piece is stationary. It allows work on bores that do not lend themselves to rotation. It permits bore work which does not require 100% cleanup. Push Boring is the most common form of stock removal from inside diameters. Grand Valley has developed proprietary tooling which allows us to remove large amounts of material in a single pass, or to bore up to 40 feet in one direction. Push Boring is typically used to produce straight bore in line with the O. D.
Pull Boring is a technique which pilots off the rough bore. Pull boring can be used in smaller diameters to remove material quickly with good surface finish. Pull boring will follow the existing hole.